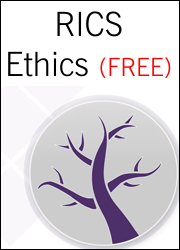 Buy your own copy of the recordings of our LIVE Online Rules of Conduct Explained and Professional Ethics Explained Masterclasses and we’ll throw in a BONUS FREE APC Final Assessment Explained Masterclass. PLUS you get one of our FREE 8Gb USB Memory Cards containing your recordings PLUS our DeLever Complimentary APC Resources. We have created a DeLever USB Resource Card containing Recordings our 5 x ONE Hour online Masterclasses and you can now own YOUR OWN COPY in MP4 film format. Recordings are normally circa £40 per film, You GET ALL 5 (One-Hour) films for just £45 (including VAT) Saving a massive £155! Accelerate your career by gaining MRICS status in the shortest time. Take control today! It’s quick and easy to use and saves masses of APC admin time. It tracks your progress so you can address any imbalance in competency experience. Your Supervisor and Counsellor meetings will be more effective and helpful to you. Preparing your APC submission will be much easier. The reports helps you prepare for Supervisor and Counsellor meetings and helps to focus discussion on the areas most useful to you. Supervisors and Counsellors can monitor, review and sign-off your progress, electronically. Your log book will be created automatically, requiring no extra time. Your recorded CPD (formal and informal) is automatically collated and presented. Store your case study in myAPCDiary so it’s safe, backed up in the cloud and accessible for update by you or review by your Supervisor or Counsellor any time. Preparing the submission for your APC will be easy by clicking for an output to a spreadsheet and a quick copy and paste into the RICS templates current at that time. Don’t forget the first month is free! Sign up without any payment details and try it! Go to www.apcdiary.com and use the grey free sign up box in the middle of the screen. Win one of our NEW 8Gb APC Resourced USB Cards. What are the three types of asbestos? What does Japanese knot-weed look like? Jon Lever FRICS will pull a name out of the hat next week and we will contact you. *DeLever Term and conditions apply, contact for details. Click here to check locations and availability. Improve your chances of passing. Firstly, The APC Final Assessment is not an exam; it is an experiential based assessment which is quite different. I find a lot of candidates think it the APC is something you can revise a few weeks before and hopefully your questions come up. This could not be any further from the truth! A test of your understanding? You are attending an interview with three other professionally Chartered Surveyors to discuss your Knowledge (Level 1), Skill and Ability through examples of application and advice (Level 2 and 3). This means that you need to know what the competency means and the depth and breadth of knowledge is important, but when taking a competency to a higher level then you must be able to discuss it, offering in depth examples of where you have had the experience and offered the advice relevant to the competency. Level 1 – Know the steps to complete the process and be able to discuss each step from a knowledge and process perspective. Know the principles, parameters and key criteria without having to go back to the books or codes of practice etc. Level 2 – You should be able to discuss your real life experiences from a range of different project types explaining how you have actually done each of the steps. Level 3 – If and when discussing with a client about a relevant solution to a problem / challenge they have, you should be able to discuss with them and advise a suitable (correct) solution to cover each step. This advice should be based upon and taken from your experiences you have had at Level 2. Assessors are also looking to see how you will conduct yourself and therefore presentation, communication and professional conduct also feature high in the assessment. Assessors do not expect candidates to be experts in every competency they declare, but they do expect candidates to have made the effort to have fully understood and taken steps to experience the depth and breadth of their declared competencies. The APC Final Assessment is not easy, it is not meant to be, it is a professional interview where a successful candidate demonstrates to other Chartered Surveyors that they are competent and can be trusted to be professional. Why could you be referred? Unfortunately, candidates are mainly referred at the Final Assessment due to a lack of understanding of the process or their competencies, or through a lack of experience so they are unable to demonstrate their ability. If a candidate is unable to discuss at the final assessment the basics as laid down in the competencies, then the assessors will refer the candidate. You would be surprised how many candidates come forward for assessment thinking they can demonstrate a Level 3 competency by just having the outline knowledge without any real experience of it! In the 15 years I have been assessing this is a constant issue and I often say that about 50% to 60% of candidates I see at the interview are poor. This percentage is much higher at the mock interviews I provide, but thankfully they are mocks and I am able to identify and demonstrate to these individuals the gaps they have in their knowledge and experience. I achieved my APC Final Assessment and Chartered Status over 20 years ago and I am as proud today as the day I achieved it. I believe that success comes from hard work, being realistic about whether you are ready to take the final assessment, a positive attitude to continually grow and develop and try to always do everything to the best of your ability. “Useful experience. Developed my knowledge of the process. Helped to build my confidence”. “A very real and formal experience. An understanding of what to expect. Has been invaluable. I would recommend it to anyone undergoing the APC”. “It was a great opportunity to experience the format of the real Final Assessment”. “My weakness was my inability to communicate effectively. The mock interview has helped me to work on this and really opened my eyes to the issue”. ‘BOOK SOON, Don’t miss out’. April & May dates also available. ONLINE Mocks can be booked anytime to suit assessor and candidate. We have had a huge response for Tips by candidates taking their RICS APC final assessment this 2016 Session 1. A 60 minute APC mock interview with real and current APC assessors. The DeLever APC mock interview is as close to the real thing as we can make it. The interview questioning will be based on your personal APC submission documents, just like the real APC final assessment. The mock interview is followed immediately by a 15 minute feedback critique from the assessors based upon your performance. Both the mock interview and the feedback session will be recorded so that you can review your performance and the questions asked. March 2016 – Building Surveying, Built Infrastructure, Facilities Management, Management Consultancy,Planning and Development and Project Management Pathways. The workshop clearly explains and helps you to understand what the assessors will expect you to do, deliver and know for your final assessment interview.